Summer is the time when our school makes renovations in classrooms and offices to improve the campus appearance and to enhance the overall infrastructure. This summer was busy with many changes all over the campus. We wish to convey our thanks to our colleagues in the maintenance, support staff and administration departments, who with dedication, worked right through the summer months, to bring the following projects to successful completion. 1) The construction of the Elementary School Fifth Grade wing: we constructed / renovated 260 m2 of building space and converted the surrounding area, totaling about 420 m2, to a student friendly play yard. This new facility contains three classrooms, two conference offices, a kitchen, storage areas and separate WC facilities. 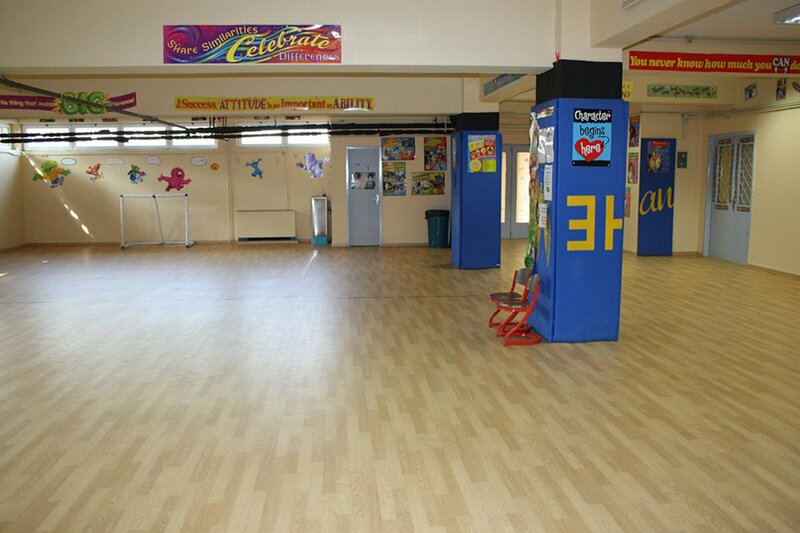 All areas are fully air-conditioned and include state of the art technology and safety equipment. Ms. Kynigou and Ms. Coclas moved at the beginning of October into this modern well equipped space along with 51 5th graders. We would like to thank one of our parents who generously donated and covered a significant portion of the cost of this project. 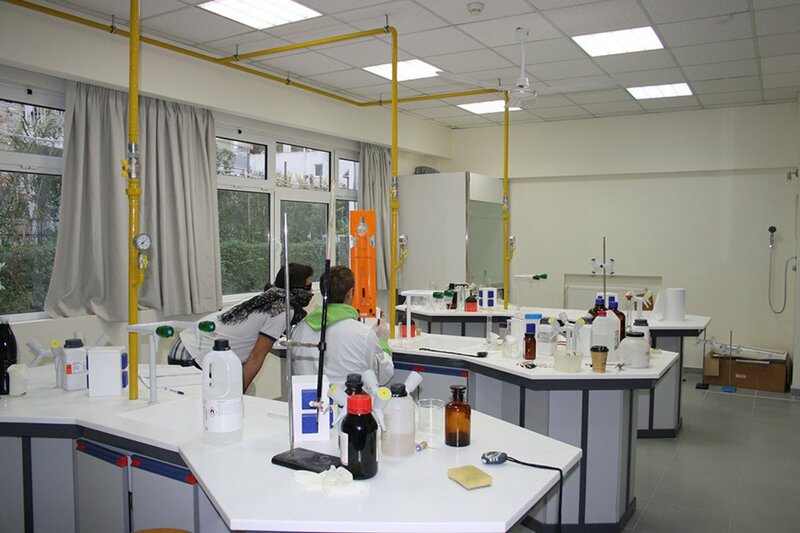 2) The complete renovation of Chemistry Lab (room 103): It includes the purchase of new state of the art benches for experiments and scientific work and a mounting gas device for science experiments along with the appropriate safety system.All fundsneeded for this project were raised by the school board fundraising efforts. We have to thank the seven parents who generously donated the renovations.Their contribution will be greatly appreciated by the current and future generations of ACS students. 3) The renovation of the HS Physics Lab (room 213): We renovated the floor with new tiles, repainted the area, added new benches for scientific experiments and a new sink. We also added new cabinets for microscopes to the HS Biology Room of Ms. Dellas. Our Labs are now state of the art. 4) The installation of school wide Public Address system was installed. This system helps keep everyone up to date with announcements and is part of our safety system. 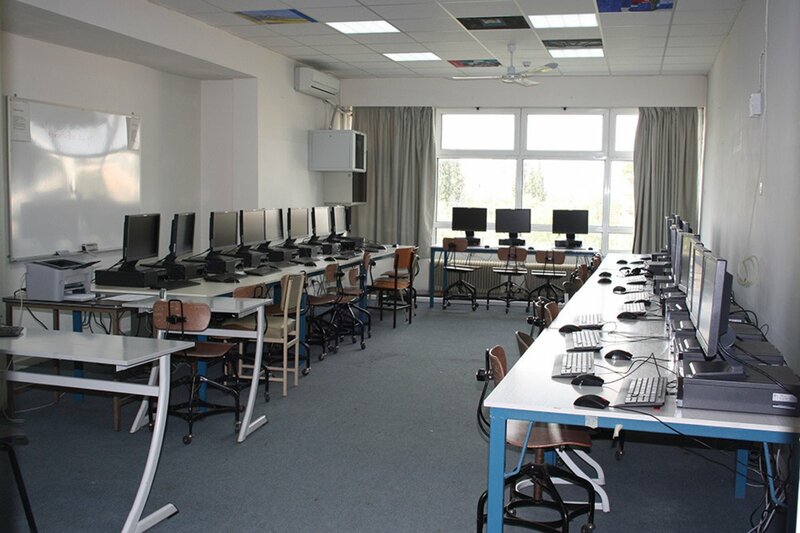 5) The purchase of 38 new computers: We installed 25 new computers in the Foreign Lab, five in the Sabbagh Library and two in HS Art Suite. Incorporating technology in all aspects of education is a priority at ACS Athens. 6) The soundproofing of the school’s Music Room which included the installation of new air-conditions and ventilation energy saving units (VAM). We also purchased new musical instruments on which students practice their skills. 7) The replacement of the E.S. gym floor: We would like to thank the PTO for this generous donation. The PTO always contributes to improving education and safety for our students. 8) The upgrade of many electrical panels and addition of new safety devices. We also renovated our main electricity substation and completed a study of how the school can save energy and cost around campus, as part of our goal to make the school greener for current and future generations of students. 9) The beautification of the elementary school classrooms: We purchased new furniture, added flower pots, installed new floors, curtains and blinds in many elementary classrooms. The E.S.Library was upgraded with new projectors and new computers. 10) The administration office floor was renovated. New air-conditions were installed. 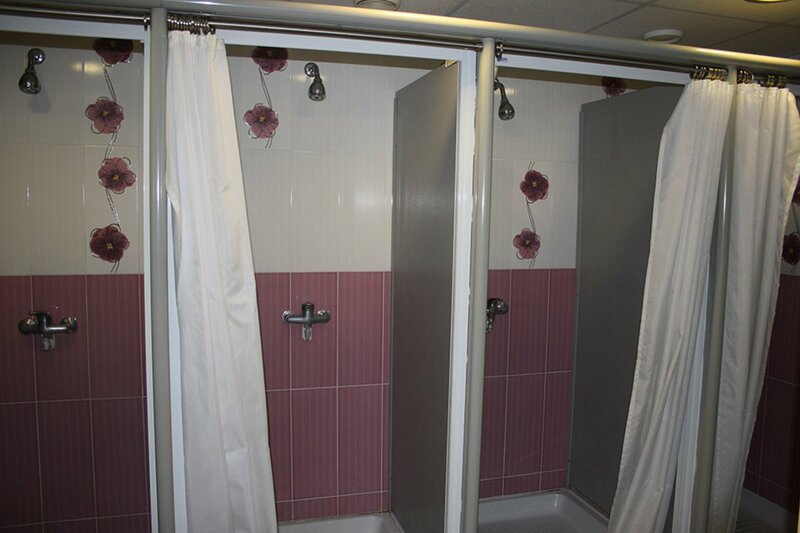 11) The girls' swimming pool locker showers were renovated. These projects were completed in addition to the normal maintenance work load of the summer.More than two hundred specific work requests from the teaching staff regarding painting, repairing and cleaning were also fulfilled.